Since its founding in 1990, The California Wine Club has worked with small wineries to bring premium, artisan wines to customers across the country. The company offers 5 different membership levels, and you pay as you go, or easily purchase wine as a gift. It’s a great way to sample premium wine, and also reward friends and loved ones with a thoughtful gift. $40.45-$231.00 per month for two bottles, shipping not included. Single bottles range from $8 to $135 for reorder. 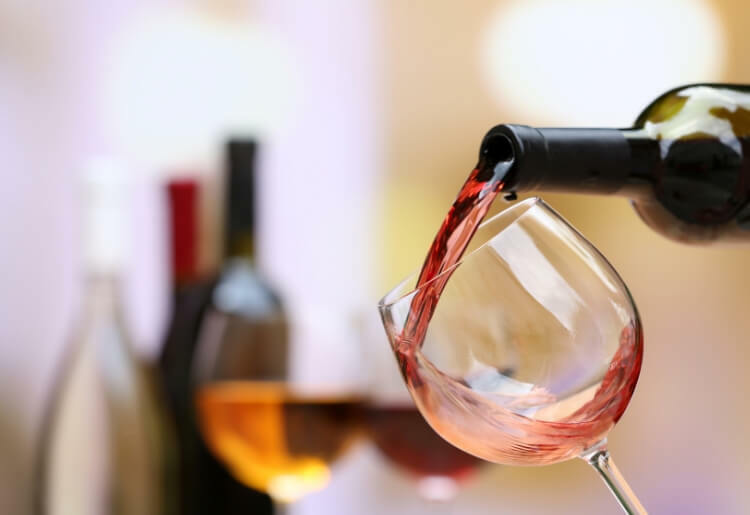 There are all types of wines offered by The California Wine Club, including 13 types of red wine and 12 types of white wine, including champagne. The wines are from California, the Pacific Northwest, Pennsylvania, Europe, Australia, and New Zealand. On The California Wine Club website you can find recipes with wine pairings, wine tasting terms, and all types of tips and fun facts from wine experts, to help you become something of an amateur sommelier, or at least be able to fake it. There are 5 main membership levels you can sign up for with The California Wine Club, depending on how much you want to spend and what type of wine you’d like to receive. With the “Premier Series” wine club you can sample 2 artisan California wines per month; on the “Signature Series” you can receive 2 bottles of limited production California gold medal-winning “wine treasures in reserve”; the “International Series” includes 2 handcrafted wines from vineyards across the world, the “Aged Cabernet Series” features “2 exquisite bottles of Cabernet Sauvignon, aged 8-12 years,” from Napa Valley, and the “Pacific Northwest Series” ships 2 handcrafted Washington or Oregon wines every month. France, Germany, Australia, Argentina, and South Africa among others. This red comes in a striking bottle with a strutting rooster on the label, seemingly running into traffic. This may be the apocryphal chicken that crossed the road, and if so, the reason may have been to drink wine. Either way, the wine has notes of black cherries, vanilla and oak, and is a customer favorite. Goes great with: Grilled meat, rich hearty stews, pondering the reasons that flightless birds would enter a roadway. We’ve all heard of “liquid courage” and have usually imbibed in the form of shots bookended by lime and salt. This white blend—“liquid luck”—is more refined fare, a spicy, refreshing, and perfumy wine. Will it be your lucky charm? If you’re popping the cork on this bottle then consider yourself already kind of lucky. Goes great with: A nicoise salad with seared tuna, a cheese plate in a meadow of some sort, entertaining friends with a wine they’ll appreciate. Usually you don’t hear the words “goat” or “goat bubbles” when you think of a fine sparkling wine, but that may change once you try a bottle of this brilliantly crafted Brut Cuvee. Flying Goat Cellars (that’s the name of the vineyard, if you were planning on trying to rescue the bewinged goats, or at least open a window in the basement) calls it “a bubbles ballet!” with “notes of sun kissed peach” and red delicious apple, which is quite elegant on the palate. Quite unlike a goat (no offense). Goes great with: Sauteed trout with a butter and caper cream sauce, veal scallopini, and goat tacos. For nearly 3 decades, The California Wine Club has made it easy to give wine. In your first gift basket the company will include 2 bonus bottles free of charge, and if you purchase a 3-month gift membership, the company will throw in a free bottle of sparkling wine as well. The website also makes it easy to write and include a gift announcement card to let the recipient know a wine club gift is on the way. If you have any questions, you can easily contact The California Wine Club by way of a toll-free number, a fax, a local phone line, or by email. There is also a live chat where you can send a query but it may take a while to get a reply. The California Wine Club has spent nearly 30 years shipping premium wines from California and worldwide to customers across the world. It’s a great way to try out artisan wines you might not find at your local grocery store, and also, it has all types of resources to help you learn to appreciate the world of wine.